I’m a researcher and I would like to use TwinsUK data and/or samples. How can I access your resources? To request access to our data or samples you will need to complete an online data access proposal form and submit it to our governing group the TwinsUK Resource Executive Committee (TREC) for review. Please visit our Access Our Data page for further details about this process and to register for an account which will enable you to view and complete the proposal form. Are TwinsUK data Open Access? TwinsUK is committed to providing unrestricted access for the scientific community to access our data and samples in line with our Wellcome Trust funding and their Open Access policy. If your research results in publication, we ask that you include an acknowledgement to TwinsUK and the Wellcome Trust. Please see our Access Our Data page for further details. What types of data and samples are available to researchers? We have extensive clinical, physiological, and behavioural and lifestyle data available, including biochemical and genetic data, as well as hundreds of phenotypes related to common diseases. Many data types have been collected at multiple longitudinal time points. Available sample types include: DNA, cell lines, serum, plasma, stool and urine. Please see the Our Data page for further details. I made a mistake in my application; can I edit it? You can edit your application form whilst in draft form, before you submit it. It is not possible to edit or delete your application once submitted. If you need to withdraw your application once submitted, please contact our Data Access Manager who will be able to change the status of your application for you. Can I download my application form once submitted? Yes, you can download your form as a PDF once you have submitted it for review. Where can I change my contact details or username? To amend your contact details or username, please log in to your TwinsUK collaborator’s account. I am interested in studying twin research, do you offer any taught courses or PhDs? TwinsUK does not run any taught courses within the department, however King’s College London offers several taught masters courses which link to our research and provide opportunities to study twin research. We do offer PhD opportunities within the department, dependent on funding. Please see our Study with Us page to find out more about both taught courses and currently available PhDs. Further details can also be found on the KCL Research Degrees page. 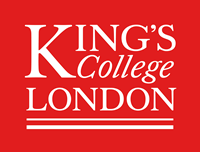 If you are a King’s College London undergraduate student looking to undertake your final year research dissertation, we provide a list of supervisors to relevant courses each year. You can contact researchers on this list to ask if they are able to be your project supervisor. I’m a twin and I would like to find out about taking part in your research. Where can I find out how to sign up? We have a dedicated website for our twin volunteers called Twin Zone where you will find details about what volunteering involves as well as how to join our registry. Please either click on the For Twins link next to the logo on this page, or follow this link to find out more and sign up. I am a media representative and would like to feature twins from the cohort and/or TwinsUK staff in a television, radio or podcast production, who should I contact? Please contact Victoria Vazquez who coordinates media work with TwinsUK. For further details please see our Media and Engagement pages.